I was on my way to the town, as I saw this! What an impressive sky and because of the Föhn I could also see the far alps. The Föhn is a strong warm wind coming down from the Sahara and brings dry and warm air over the alps. Usually you can see the alps when this wind is blowing. 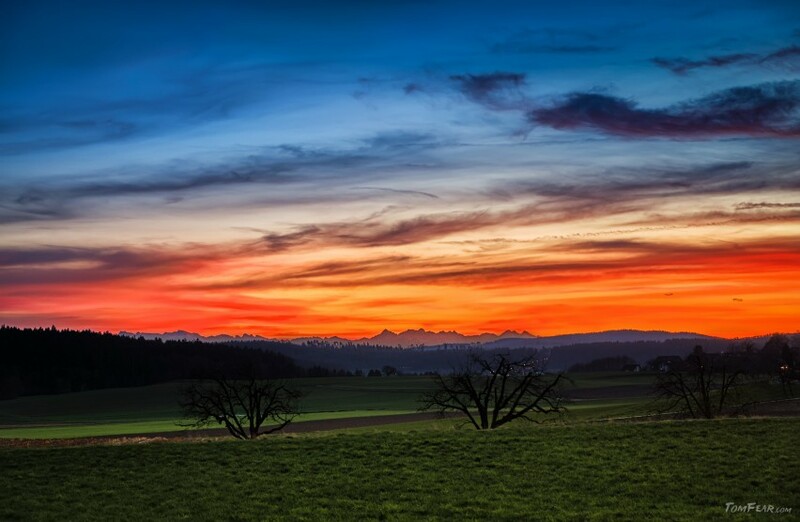 In the Föhn-valleys it’s more a storm, but as a good effect you can see the far away mountains and together with this stunning sunset, what a beautiful end of the day.